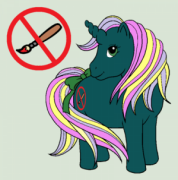 I'm Glitterball, I live in the UK and my favourite ponies are from Gen 1! 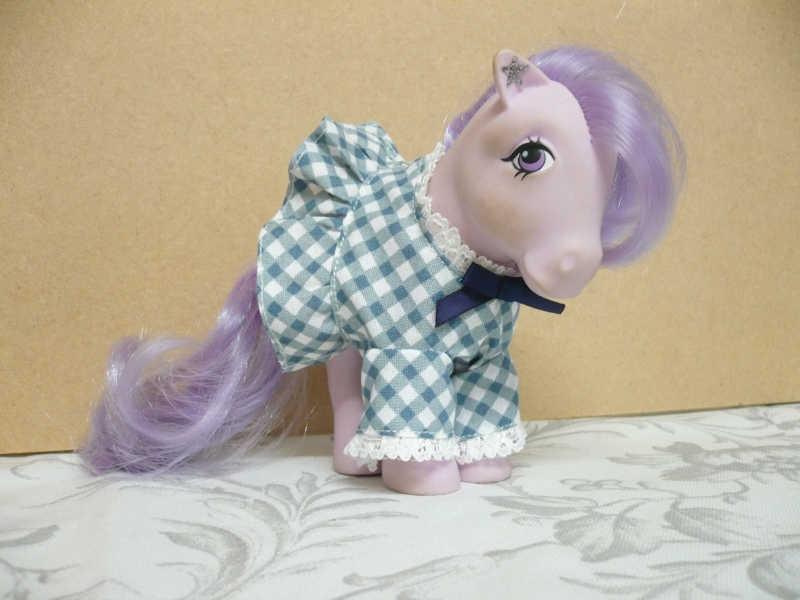 Glad to see Cotton Candy, my first childhood pony, is here too! 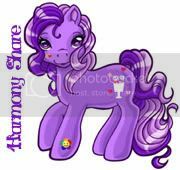 Some of the folks here look familiar, I am a member of another pony forum so "hello" to friends old and new. Hope to see you around and get to know you better. Hi Secret Agent Glitterball. Welcome to the TP. We have only the best 3 ply for tee-peeing houses. Make sure you aren't seen. Show us when you're done pretty please? First attempt with odd peach/green/gold combo (was all I had to hand at the time) then second, more successful attempt with navy gingham + lace. These are super adorable!! Great work! Love your ponywear stitching! Are you making your own patterns? 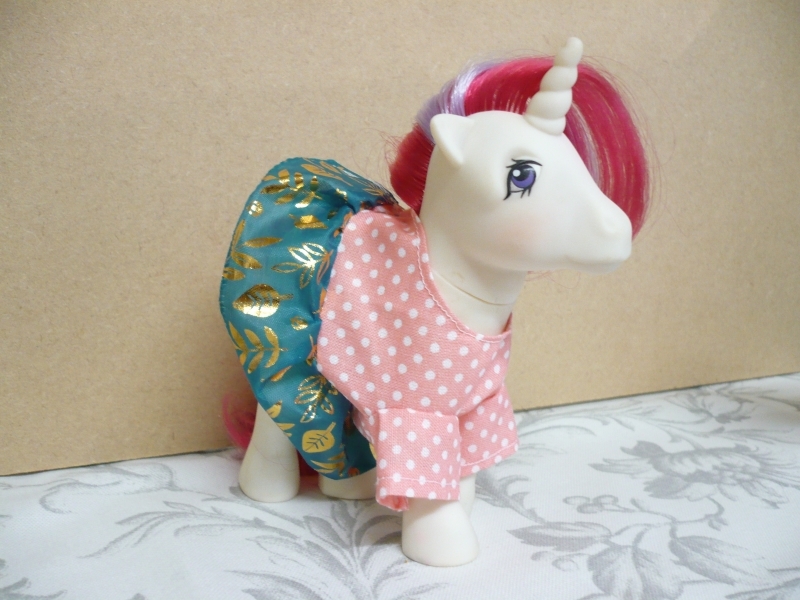 I haven't created any ponywear in a long time, but it is so much fun. Hi! Welcome to the TP! I really like your ponywear. Great job! I bought the pattern off Etsy, in case you were wondering! Eee those are so cute glitter! Those are adorable! Welcome to the MLPTP! Welcome to the board! So happy to meet you!